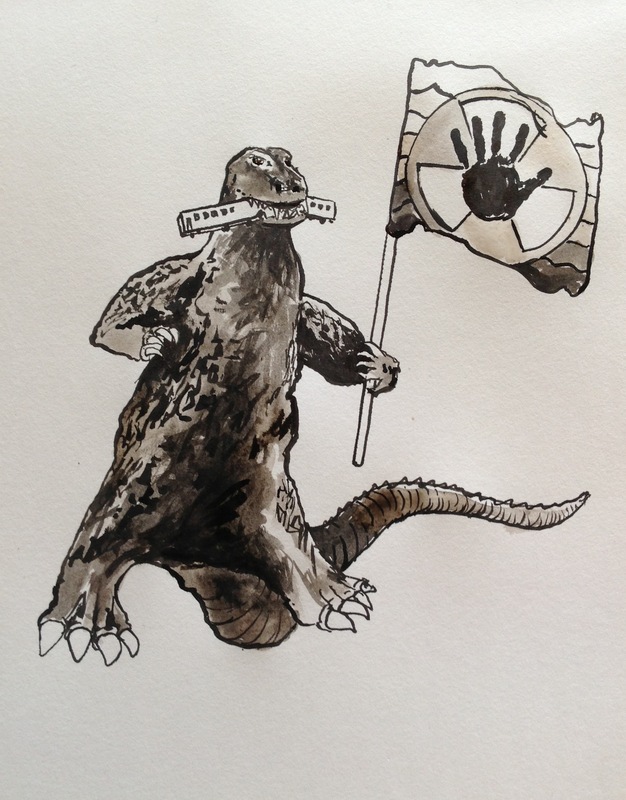 As fundraiser to help cover costs of taking part in the Walkatjurra Walkabout (www.walkingforcountry.com) Peterborough Housing Co-op will be hosting a screening of the original 1950s film Godzilla. Outdoor film screening of Godzilla and dinner of soup and bread. We’ll have popcorn, refreshments and patches for sale too. Bring a cushion or blanket to sit on.